Who holds the key to your heart? 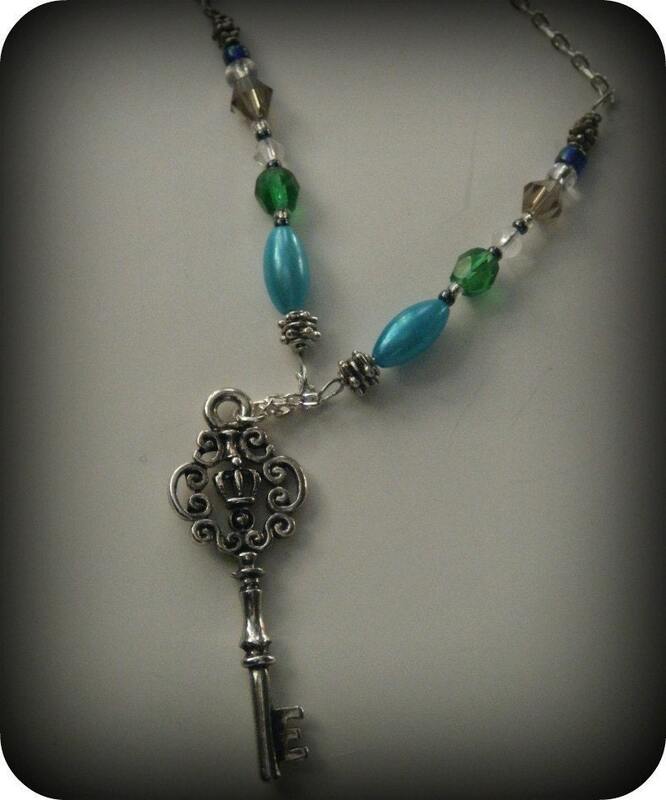 This very feminine necklace features a lovely silver key pendant on a bright silver chain decorated with an array of turquoise, amethyst and green beads. Total length is 13". Perfect gift for the dreamy romantic in your life!